Captain Tatsumi is the Commanding Officer of Tokki-Tai. 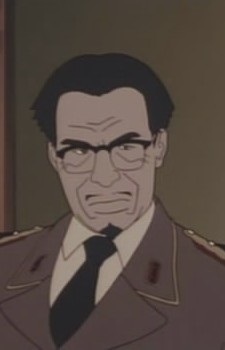 Kerberos Panzer Cop reveals he is a founding member of the organization with Aniya. The organization was created five years before the events portrayed in the manga's first part. In Kerberos Panzer Cop: Conclusion he takes part to a coup d'état with his subordinate Handa and the Kerberos Panzer Cop and Kerberos Panzer Jäger joint units. In Jin-Roh he is upranked from one class.